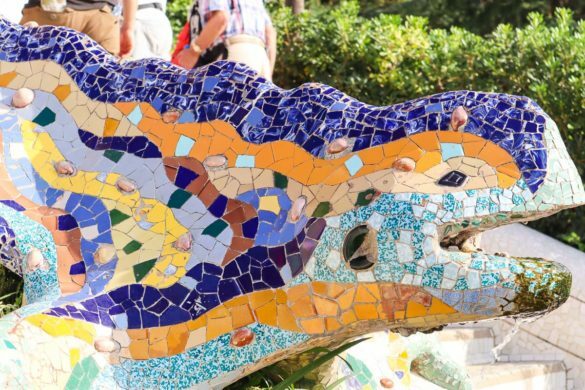 From Parc Guell’s bright mosaics, to the vibrant stores in the Gothic Quarter, and delicious tapas, come and explore colourful Barcelona with me! 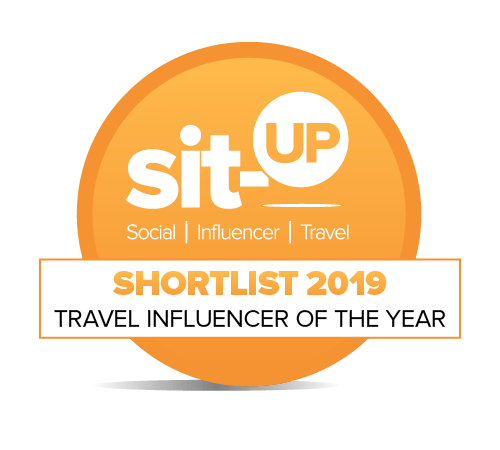 As a travel blogger, I feel a bit guilty about having favourites. Isn’t it a bit like teachers having favourite kids in their classes? Obviously I share my opinions on places I like and dislike and the reasons why… but it’s rare I shout THIS IS MY FAVOURITE! BARCELONA IS MY FAVOURITE CITY IN THE WORLD. There, that feels better, doesn’t it? Other than my home city of London, I’ve been to Barcelona more times than any other place on the planet. I’ve been with friends, partners and my family. I love the city’s temperament. It has a buzzy, feisty vibe. I love its architecture and landscapes. I love getting lost in the skinny streets of the Gothic Quarter. I love hiking to the top of Montjuic and taking in the views. I love ordering 8 dishes for lunch, because… you know, tapas! Every time I return I discover new things I love about the city, and on my KLM 101 Reasons To Travel adventure, it was all about colour. 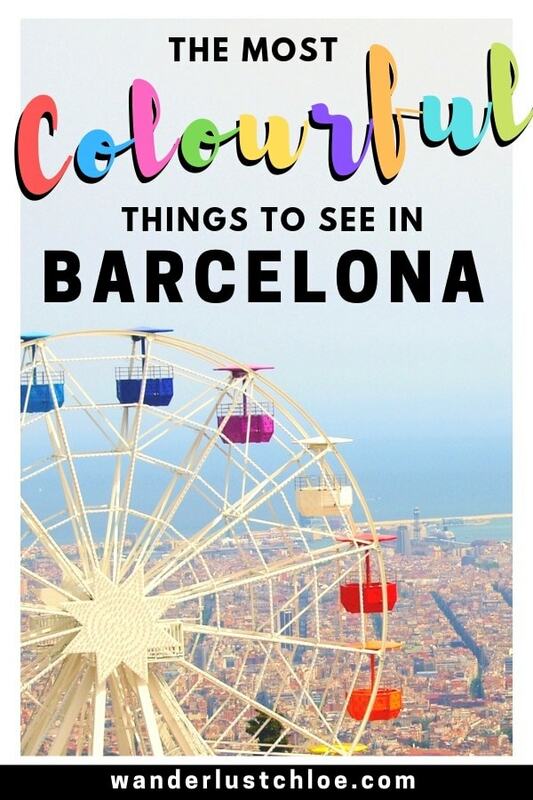 So come with me as I take you on a tour of Barcelona’s most colourful spots. 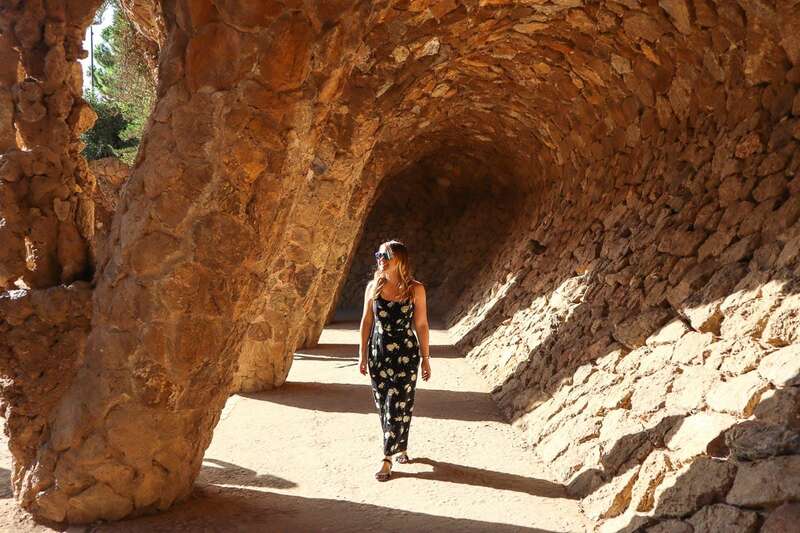 If I could only recommend one place to visit in Barcelona, it’d be Parc Guell. 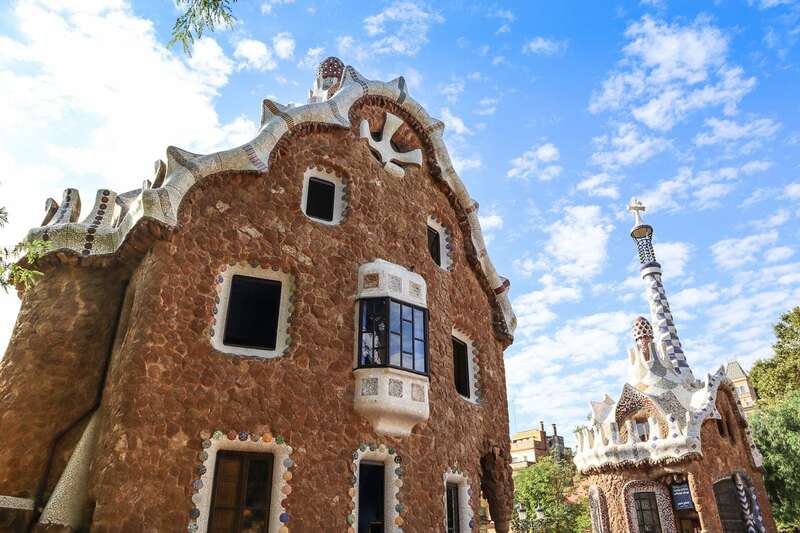 Gaudi’s architecture is just incredible! 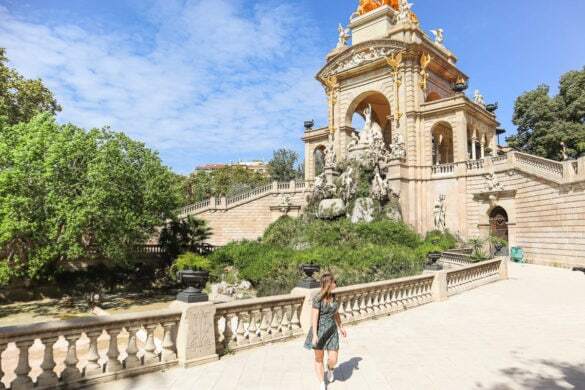 From the colourful mosaic-covered terrace, to the beautifully wonky colonnaded pathway, to the dragon staircase and the Hansel-and-Gretel style gatehouses – there’s so much to see. Not only that, but as the park is at quite a height, you’ll be rewarded with some of the best views of the city too. 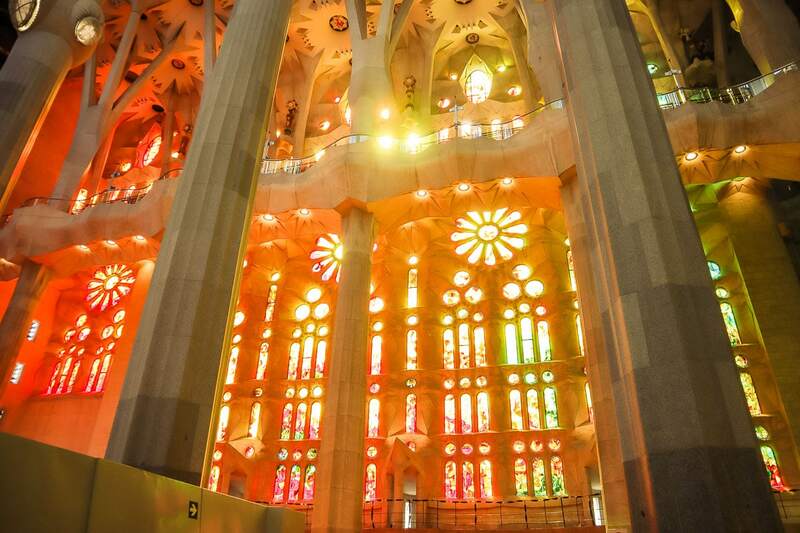 Colour lovers will adore the stained glass windows in Gaudi’s unfinished Sagrada Familia. Gaudi said that colour was the expression of life, and you really feel it as you explore the inside of the stunning cathedral. As the September sun streamed through the windows, I couldn’t believe how bold the colours were that were cast across the interior. 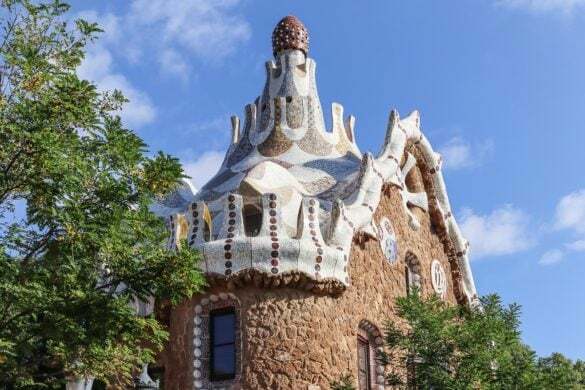 While colour might not be the principal reasons to visit, I’d recommend checking out the exterior of Casa Batllo, with its fish scale roof tiles. 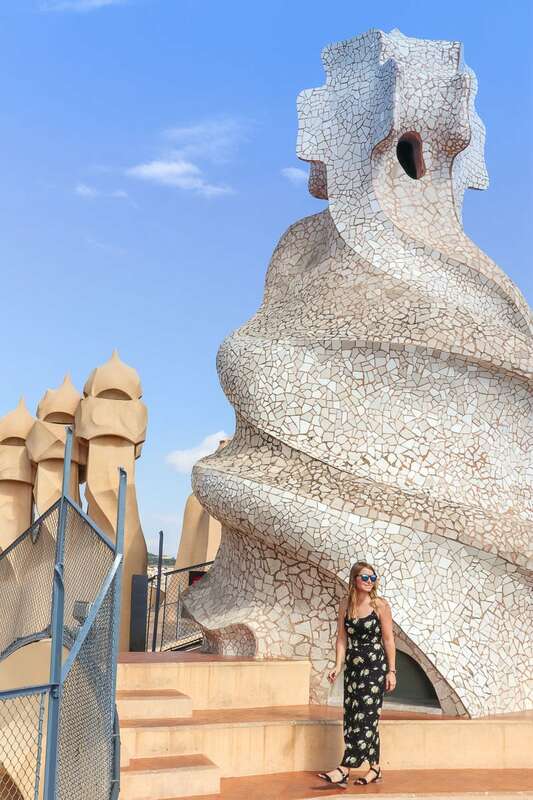 Also, just a few streets away, the rooftop of Casa Mila (also known as La Pedrera) is a beautiful spot too. 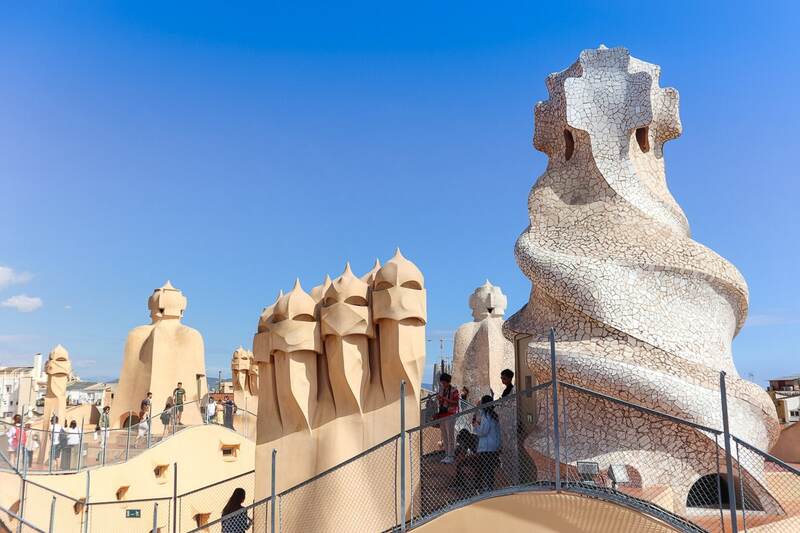 The sand-coloured sculptures really pop against Barcelona’s blue skies. 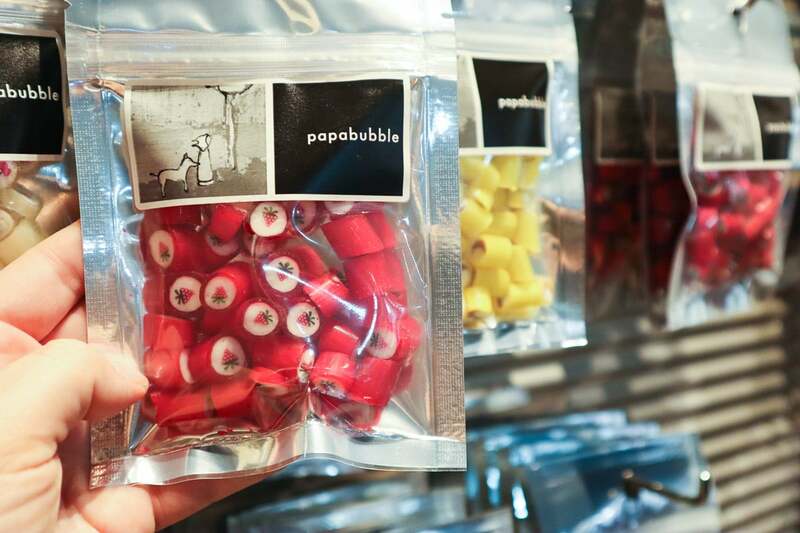 When our friends over at Hand Luggage Only recommended this candy store in the Gothic Quarter, we just had to visit! 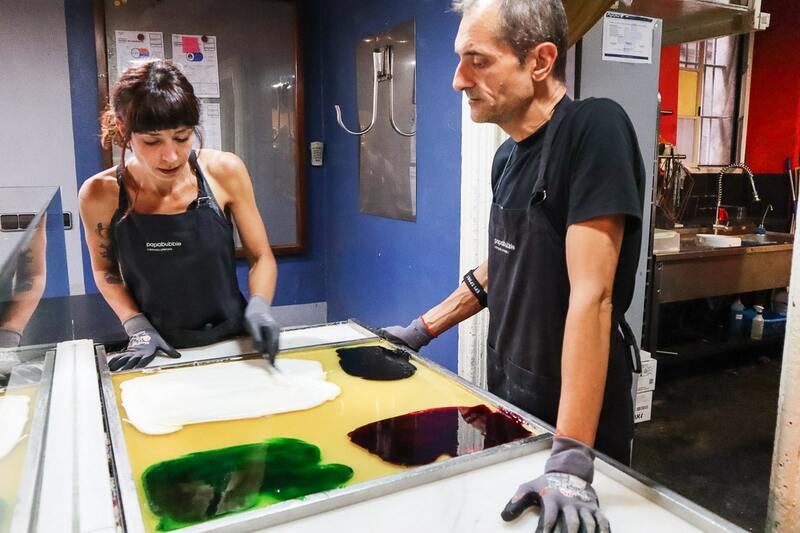 Started in Barcelona in 2004, the team here create fun, colourful candies, using traditional confectionary techniques. That means you can wander in of the street and watch as the Willy Wonka style wizards create sugary treats in front of your eyes! It was totally mesmerising. Flavours ranged from cola to passion fruit and watermelon. Oh and the store smells totally delicious too – I can guarantee you’ll want to buy a bag to take home! I’ve seen great views of Barcelona from Montjuic, Park Guell, the W Hotel and the city’s Cable Cars. However, this might be the best yet… mainly because it’s SO central. At the bottom of Las Rambles, this column is a tribute to Christopher Columbus. In the centre of it is a teeny tiny lift (it only fits 4 people) which takes you up to a height of 60 metres. From there, you’ll see the city’s colourful skyline topped with orange and yellow roofs, and flags blowing in the wind. 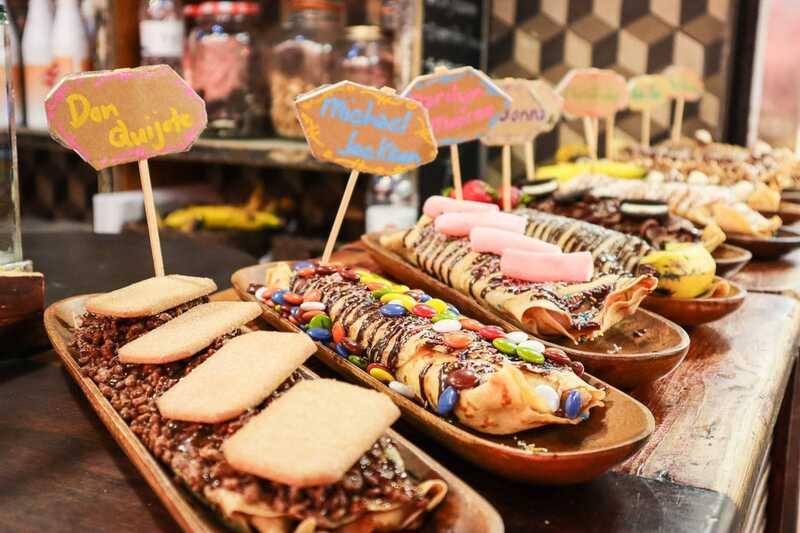 If you’re a foodie like me, you’ll love spending time at Barcelona’s colourful market La Boqueria. I’ve heard stories that some of the older store holders are being forced out due to high rents, and commercial brands are trying to get in… so now more than ever it’s time to go and support the local producers. 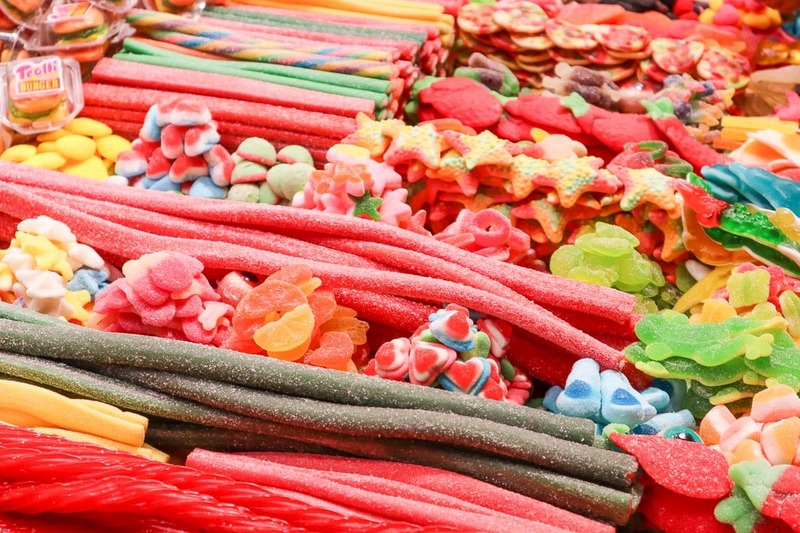 As you explore you’ll find iberico ham, fresh fruit and veg, colourful sweets, crepes, hot chillies and all the exotic seafood you’d expect in Spain! 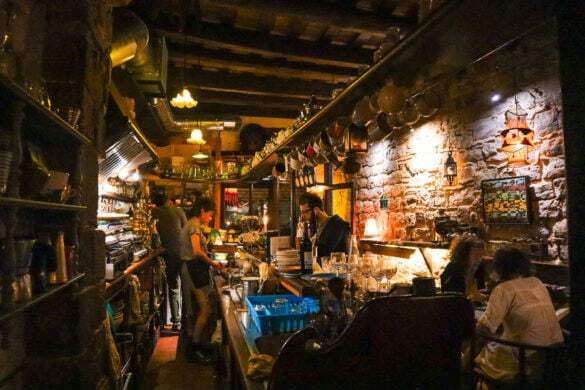 One of my fave tapas bars in Barcelona, this one is located in the Gracia neighbourhood. It has a local vibe, while being tourist friendly too (yep, that means English menus and helpful waiters!) The menu is creative and seasonal, while the flavours are robust and totally delicious. Everything was beautifully presented too, really showing off the colourful Mediterranean produce. 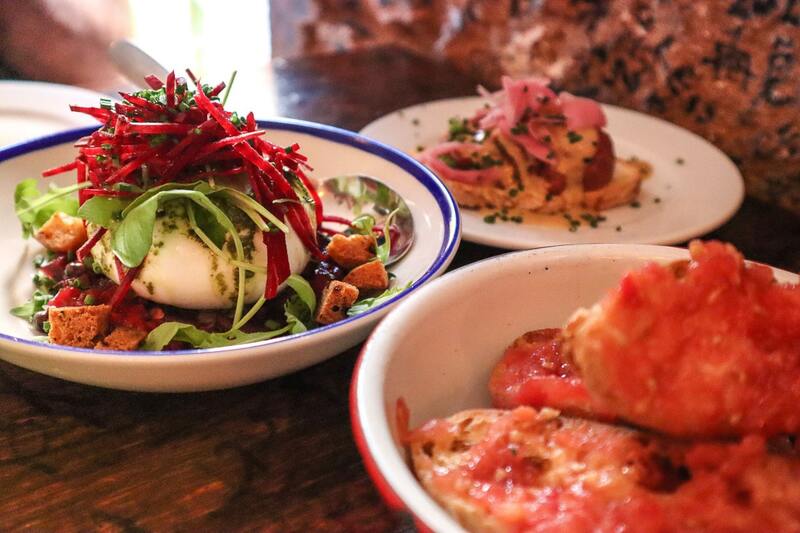 The burrata with watermelon and beetroot was my favourite, closely followed by the smokey aubergine fritters with goats cheese. When you’ve finished, grab a pen and leave your mark. The wall is graffitied from top to bottom – a nice colourful addition! I spotted this incredible shoe shop as we were getting a little lost in the Gothic Quarter’s maze of tiny streets. 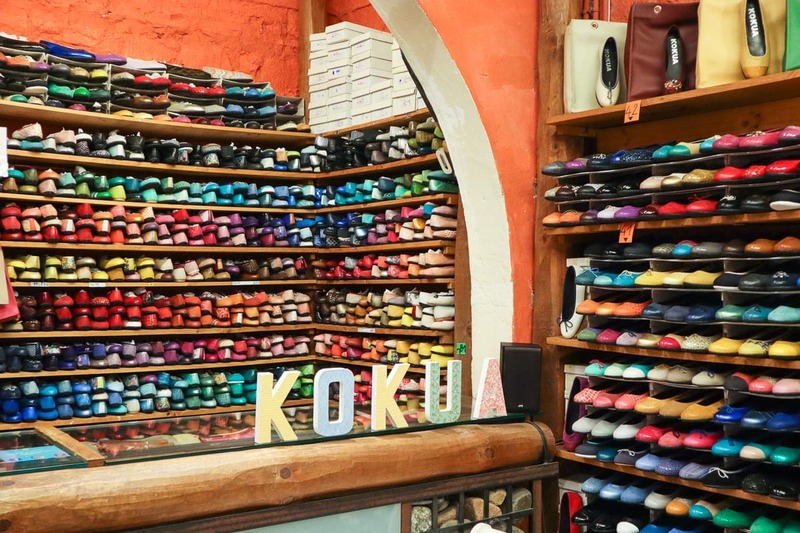 Kokua is a Barcelona shoe brand. They make cute flat ballerina-style pumps, from locally sourced leather. The best part? They come in every colour of the rainbow! Prices start from 50 EUR, and they make some lovely bags too. There are three stores within the Gothic Quarter, so if you have a wander, you’re bound to stumble upon one of them. 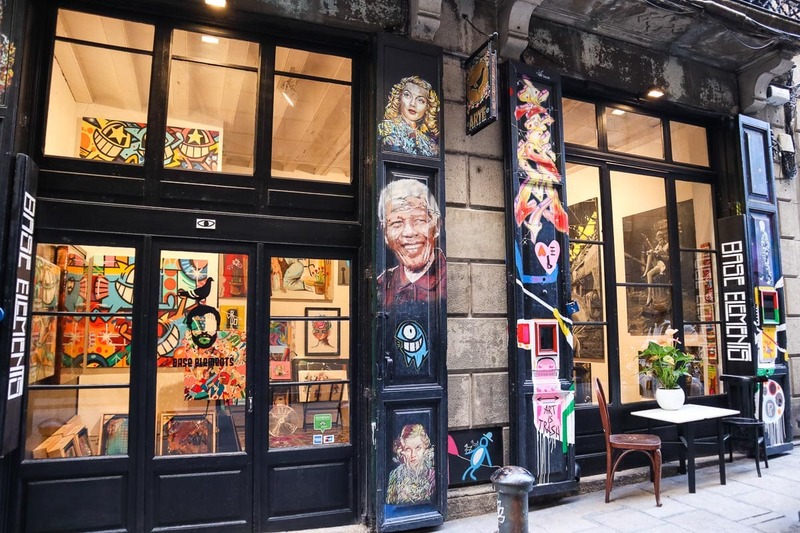 Barcelona is a city filled with art galleries. 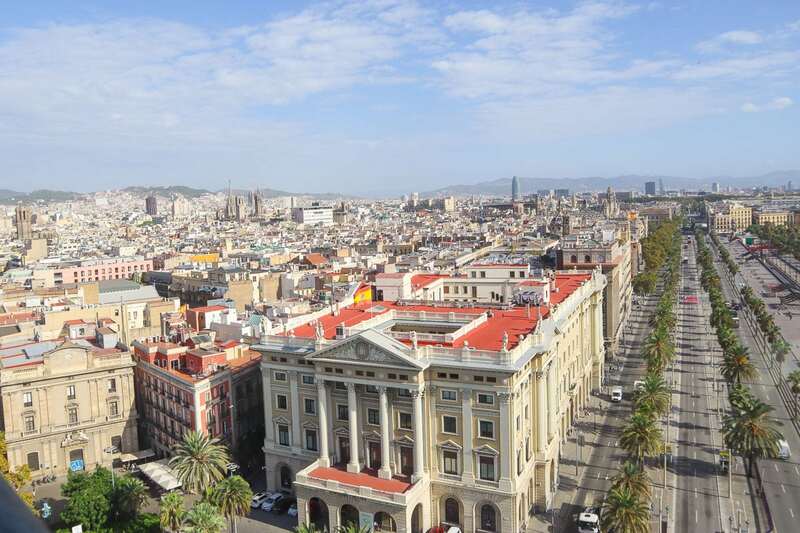 From the Picasso Museum, to the Fundació Joan Miró in Montjuic, and MACBA (Contemporary Art Museum) in the centre of the city, there are plenty of colourful works to keep you entertained. Added to that, there are plenty of gallery spaces within the Gothic Quarter to check out. I loved stumbling across them as I wandered the streets. 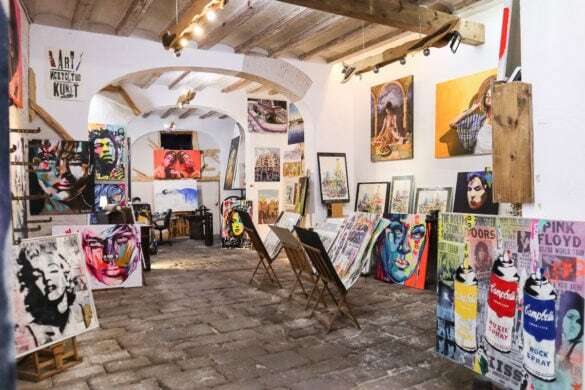 Highlights included Base Elements Urban Art Gallery and BCN Painting Route Art Gallery, both of which were filled with colourful modern works. While I can’t guarantee you’ll be in Barcelona for a festival, there’s been something happening on three of my six visits to the city… so I’d say odds are in your favour! The first day of our trip coincided with the finale of La Mercè Festival, which had a huge programme of events taking place across the city. We caught some of the parade down Las Ramblas during the afternoon. 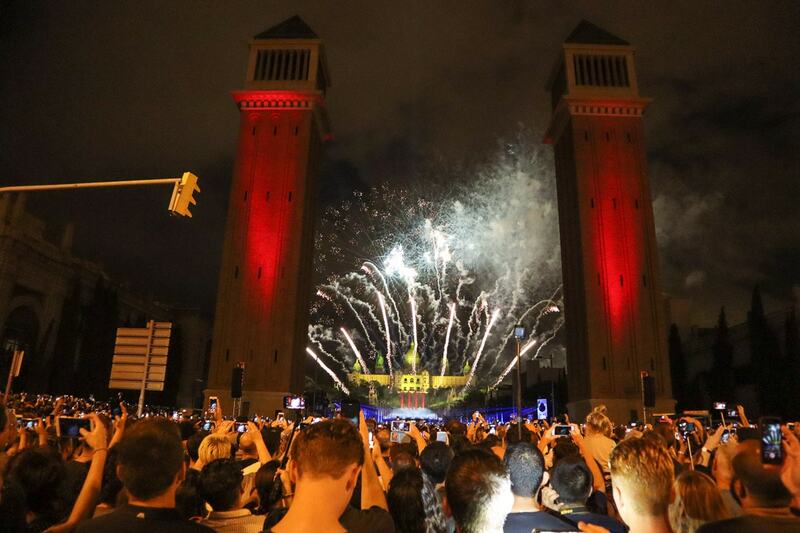 Then in the evening we joined the crowds in Plaça Espanya to watch the grand finale – a spectacular firework and fountain display in front of Palau Nacional. A peaceful haven in the middle of a bustling city, a wander through this park was a lovely addition to our trip to Barcelona. 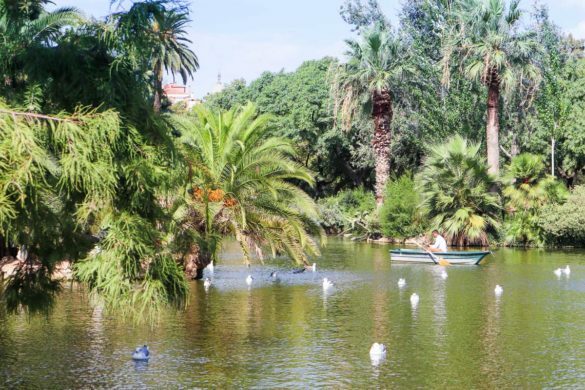 It’s one of the best places to take in the colours of nature, with its mix of tropical palms, exotic flowers and serene lake. Don’t miss the Cascada Monument – when we visited the fountains were being repaired, but it was still beautiful all the same! 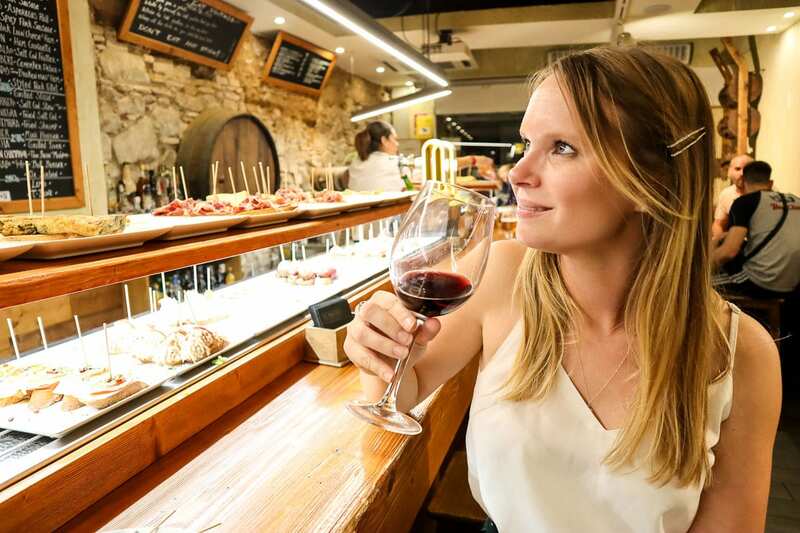 A mix of locals tips, online research and random discoveries led us to eat and drink at some wonderful places during our time in Barcelona. 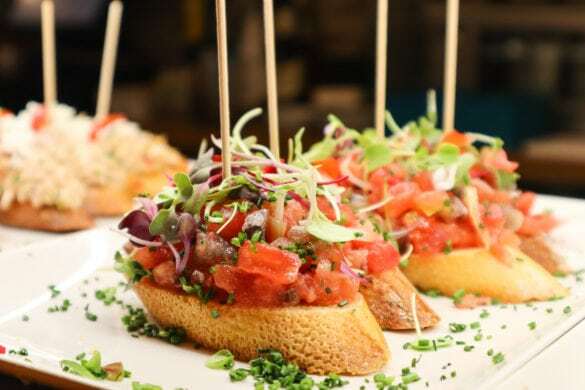 El Pinxto de Petritxol – One of the best pinxtos bars in the Gothic Quarter. Enjoy a selection of delicious morsels on sticks, each around 2 EUR. 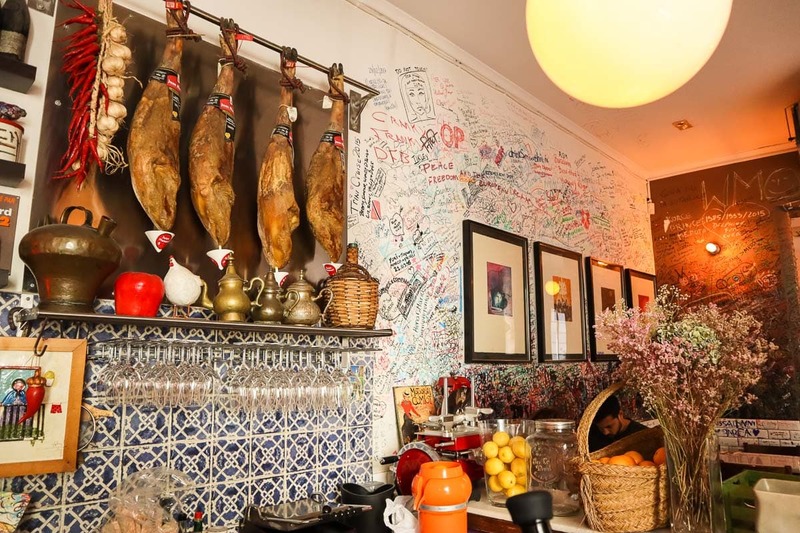 Bar del Pi – A lively tapas bar in the heart of one of the Gothic Quarter’s squares. A great spot for favourites like patatas bravas, calamari, croquettes and padron peppers. La Alcobar Azul – A cosy, romantic spot in the Gothic Quarter – this restaurant came highly-recommended. The roasted peppers with goats cheese and rose jam were particularly delicious! 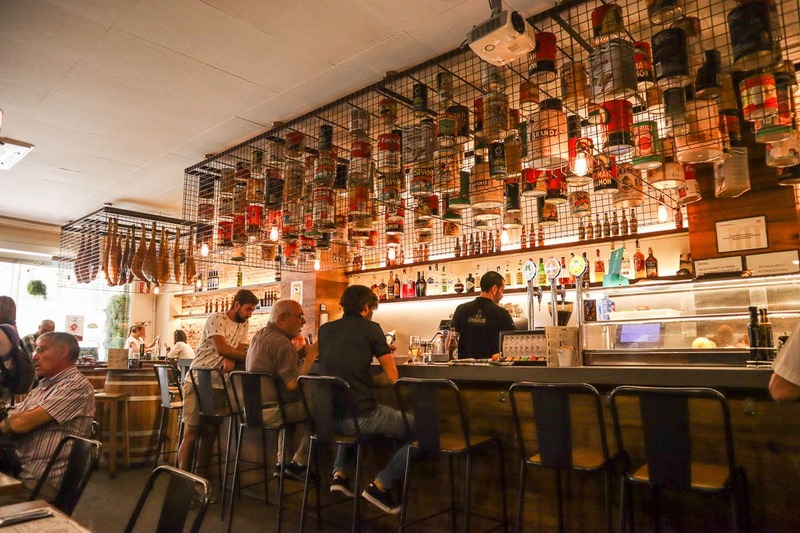 Salterio – We stumbled upon this place by chance, and it was a total delight. 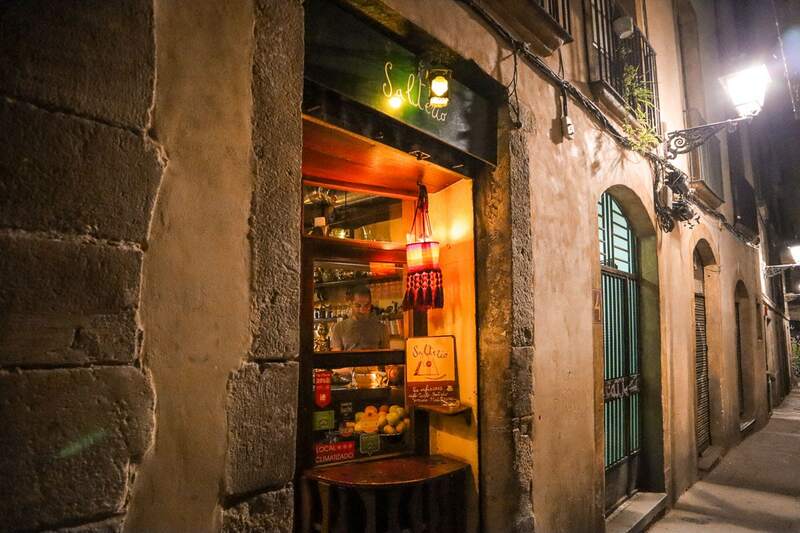 Tucked away in the Gothic Quarter, this cute bar serves a limited but tasty menu, great wine and specialises in tea too! The owner was really friendly, so we know we’ll return on our next trip. Disfrutar – Genuinely my favourite restaurant in the world! 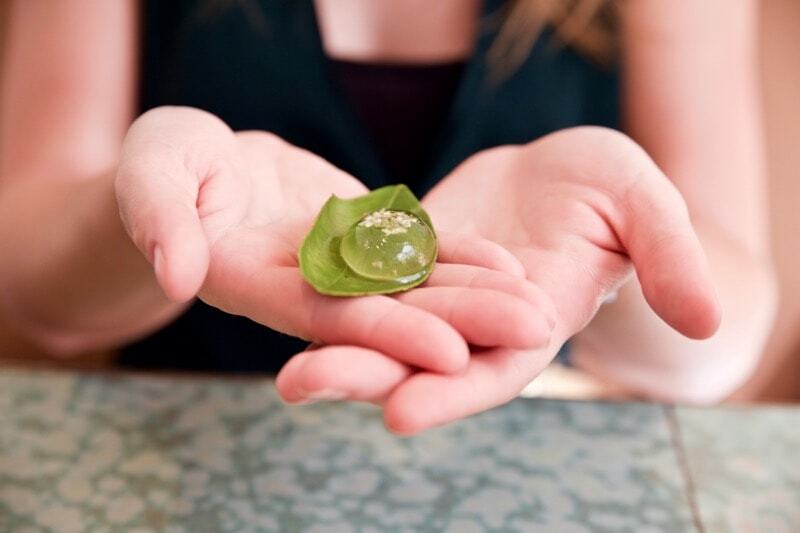 It now has TWO Michelin stars, so that gives you an idea of just how incredible and creative it must be. We didn’t have time to pop back on this trip but you can read about the last time we went here. 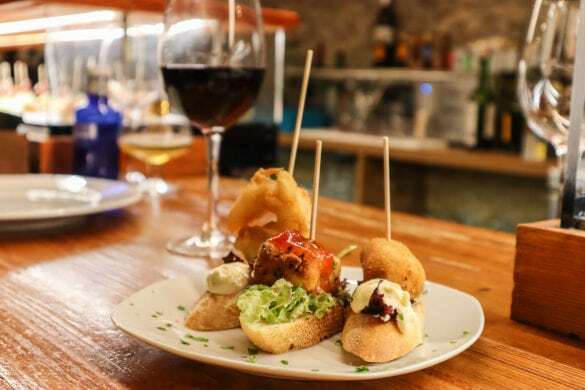 Tarbalot – Just off Las Ramblas, this tapas bar serves up all the classics, but takes pride in using local ingredients, and presents dishes with finesse. The patatas bravas here were the best we had during our trip. We used the Barcelona Metro to travel around the city. As we only needed it for a few journeys we shared a T10 card, which gave us 10 journeys for 10.40 EUR. To get to and from Barcelona Airport we caught the Aerobus, which takes you to the centre of the city in 40 minutes. A return costs under 10.20 EUR or you can buy a single for 5.90 EUR. 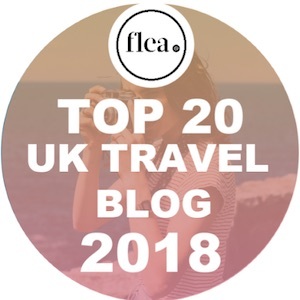 We travelled with KLM who have flights to Barcelona from 17 departure points across the UK via its multi-award winning hub, Amsterdam Airport Schiphol. 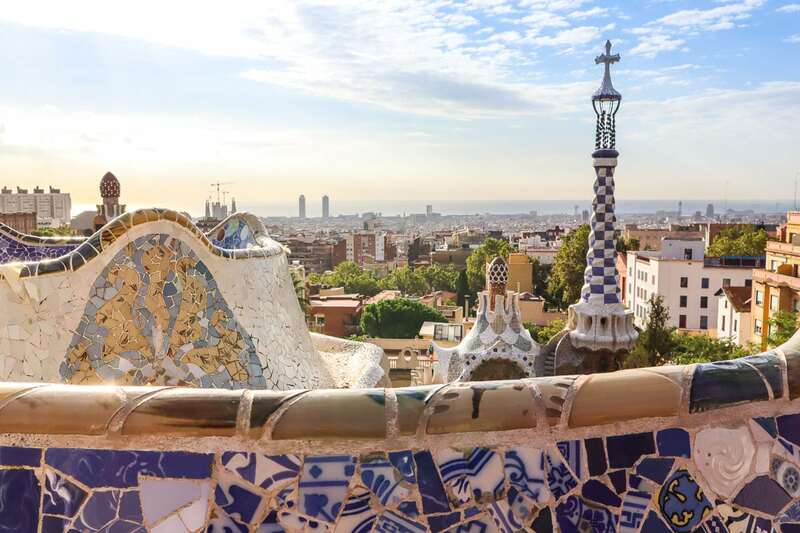 KLM operates twice daily flights to Barcelona from London Heathrow airport, with fares starting from £122 return including tax. 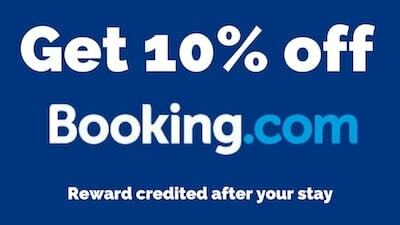 To book or for more information, visit www.klm.com or check out their city breaks. Looking for more trip inspiration? 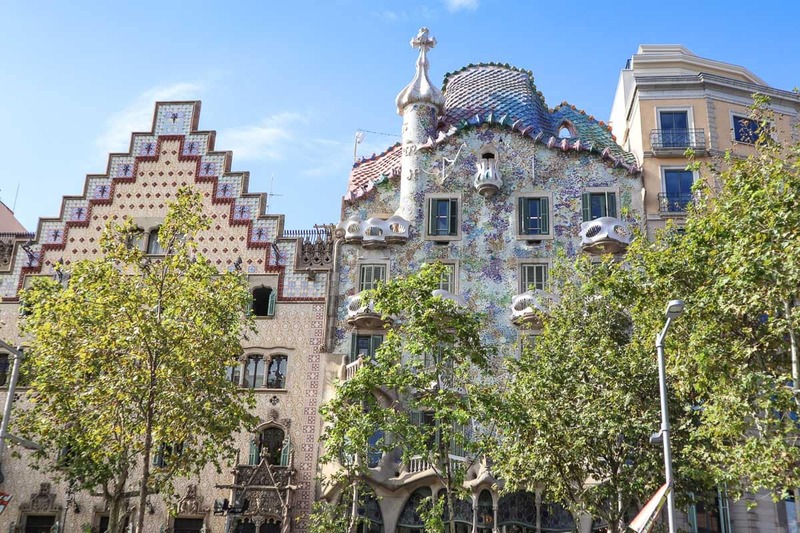 Check out An Adventurous World’s guide to spending 3 Days In Barcelona. Big thanks to KLM for inviting me to share a few of my 101 Reasons To Travel! As always, all opinions are my own. I just love how colourful the city is!! Me too Angie! I know how much you love it there too! I am ashamed to say that I have never been to Barcelona! Hopefully I will get there soon because it looks great! Thanks Craig – it’s my absolute fave city! Just love it so much! Hi Chloe, I came across your post when I was reading on Petra ,Jordan. It was very useful. So this time, while planning Barcelona Trip I searched for your tour description. Really great descriptions. Thank you. 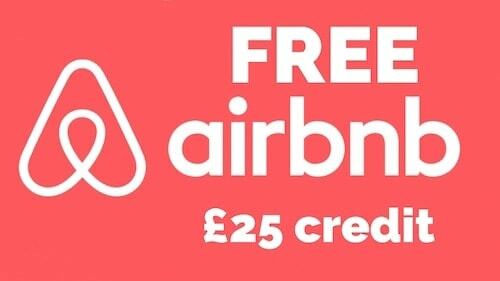 Will use your tips for visiting places and also for the food. That’s amazing to hear – thank you so much!! Really glad you found it helpful!